WHERE CAN I FIND MY NATIONAL PRODUCER NUMBER (NPN)? Visit SBS License Services to look up your NPN. WHEN DOES MY 24-MONTH CONTINUING EDUCATION COMPLIANCE PERIOD START AND END? Your 24-month Continuing Education compliance period is determined by your birth month and your odd or even birth year. Your required 24 hours must be completed by the last day of your birth month in either an odd or even year. For example, an agent born on January 29, 1984, will need to complete her hours by the last day of January of every even year (e.g., 2018, 2020). An adjuster born on May 2, 1975, will need to complete his hours by the last day of May of every odd year (e.g., 2019, 2021). HOW CAN I FIND OUT WHICH CONTINUING EDUCATION CLASSES (AND THE NUMBER OF HOURS) I'VE COMPLETED, AND WHETHER I HAVE CARRYOVER CREDITS? You can view your official Continuing Education Transcript here. You will need your NPN. I REGISTERED FOR A COURSE ONLINE. HOW DO I PAY? Payment via cash, check and money order may be submitted by mail or during class check-in, or you may pay via credit/debit card here. CAN I BE EXEMPT FROM TAKING CONTINUING EDUCATION CLASSES? Effective October 2010, the NC Department of Insurance eliminated Continuing Education exemptions based on age or duration of licensure. Exemptions are now only granted for military service or medical issues. To process a request for a military or medical waiver, please click here. HOW MANY CONTINUING EDUCATION CREDITS DO I NEED? DO I NEED TO TAKE CERTAIN CLASSES? An agent holding a Life, Health, Property, Casualty or Medicare Supplement/Long-Term Care license (or any combination of these licenses) must complete 24 hours of Continuing Education, including a certified 3-hour Ethics course, each biennial (24-month) compliance period. Agents holding a Property and/or Casualty license must also complete a certified 3-hour Flood course every other biennial (24-month) compliance period. ​A self-employed, company or public adjuster must complete 24 hours of Continuing Education each biennial (24-month) compliance period, including a certified 3-hour Ethics course every biennial (24-month) compliance period and a certified 3-hour Flood course every other biennial (24-month) compliance period. DO I NEED TO TAKE THE LONG-TERM CARE PARTNERSHIP REFRESHER COURSE? Any NC agent who holds a Medicare Supplement/LTC license and plans to sell LTC Partnership Products must complete an initial ClearCert-certified 8-hour Partnership Training course before any LTC Partnership product can be sold. A 4-hour LTC Partnership Refresher course will be required each biennial (24-month) compliance period thereafter. You will receive Continuing Education credit for the initial 8-hour course, as well as any subsequent 4-hour refresher courses you complete. If you are unsure of your products' Partnership classification, please contact the LTC carriers you represent. CAN I TAKE ANY RENDLEMAN COMPANY CONTINUING EDUCATION CLASSES FOR CREDIT? Yes. No matter what type of license(s) you hold, you may take any of the Continuing Education courses offered at The Rendleman Company for CE credit. North Carolina recognizes all numbered CE courses in this state as general credit. It is not necessary to complete CE classes that relate directly to your license(s); you must simply ensure the classes you complete add up to a minimum of 24 hours of credit by the final day in your 24-month compliance period. CAN I TAKE A PRELICENSING COURSE FOR CONTINUING EDUCATION CREDIT? No. Only state-approved CE courses count toward your 24 hours. WILL EXTRA CONTINUING EDUCATION CREDITS CARRY OVER TO MY NEXT COMPLIANCE PERIOD? Yes. If you complete more than 24 hours during a compliance period, the extra credits will automatically roll over. There is no limit to the number of carryover hours you can have. The only exemptions are the Ethics, Flood and Long-Term Care Partnership Refresher courses, which must be completed during the compliance period in which credit is needed. HOW OFTEN CAN I REPEAT A CONTINUING EDUCATION CLASS? Continuing Education classes may be taken once each 24-month compliance period. To check on the classes you've taken in your current compliance period, you can view your official transcript here. Please note that courses are recognized by course number, not subject matter. DOES THE RENDLEMAN COMPANY REPORT MY CLASS ATTENDANCE TO SIRCON/PROMETRIC? Yes. The Rendleman Company's policy is to report each student's attendance the same day the course is taught, and to notify a student of any reporting problem within 24 hours. CAN I TAKE CONTINUING EDUCATION CLASSES UP UNTIL THE LAST DAY OF MY COMPLIANCE PERIOD? Yes. Since we complete all reporting on the day that the course is taught, it is fine to attend class(es) on the last day of your compliance period. HOW CAN I FILE FOR AN EXTENSION FOR COMPLETING MY CONTINUING EDUCATION REQUIREMENTS? You can request a one-month extension through ﻿Prometric﻿ ﻿﻿no sooner than 30 days before the end of your compliance period, and no later than the last day by completing ﻿this﻿ form and paying the required $75 extension fee to Prometric. For additional questions about the extension process, call (866) 241-3121 or email Pro.ce-services@prometric.com. WHAT HAPPENS IF I DON'T COMPLETE MY CONTINUING EDUCATION REQUIREMENTS? If you fail to complete 24 hours by the end of your compliance period, and have not filed for a one-month extension, your license(s) will be suspended. You will then have 120 days, or four months, after your compliance date to complete your deficit hours. Once these completed hours appear on your official transcript, you can request license reinstatement through the Department of Insurance by filling out this form and paying the required $75 reinstatement fee to Prometric. If your deficit hours are not completed within 120 days of license suspension and/or you have not paid your $75 reinstatement fee, your license(s) will lapse; to reinstate your license(s), you will be required to repeat the prelicensing process. Please note that it is illegal for agents and adjusters with suspended licenses to quote, sell, adjust claims or accept premiums until their deficit hours have been completed and their license(s) officially reinstated by Prometric. DO I HAVE TO PREPAY FOR CONTINUING EDUCATION CLASSES? No. Payment is not required until the day of class. We welcome in-office payments by cash, personal/company check and money order. If you would like to prepay via credit/debit card, please click here. DOES THE RENDLEMAN COMPANY ADMINISTER EXAMS DURING THEIR CONTINUING EDUCATION CLASSES? No. Classroom-style courses taught by The Rendleman Company do not require exams for Continuing Education credit. Only full attendance in the class is required. AM I ALLOWED TO USE A LAPTOP OR OTHER ELECTRONIC DEVICE DURING A CONTINUING EDUCATION CLASS? No. The use of laptops, tablets, smartphones and other electronic devices by students during Continuing Education classes is prohibited by the NC Department of Insurance unless the instructor specifies their use as a necessary part of the course curriculum. 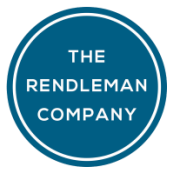 CAN THE RENDLEMAN COMPANY TEACH CLASSES AT MY OFFICE? Yes. The Rendleman Company offers private, offsite Continuing Education classes for sizable groups. For more information, please email us at rendlemancompany@gmail.com.